KUALA LUMPUR -- Chinese automaker Zhejiang Geely Holding will buy a 49.9 percent stake in struggling carmaker Proton from Malaysian conglomerate DRB-Hicom. Geely will also acquire a majority share of 51 percent in UK sports-car maker Lotus Cars from Proton, Geely said in a statement on Wednesday. Geely is the parent company of Hong Kong-based Geely Automobile Holdings and Sweden's Volvo Car Group. Geely said it is committed to reviving both Proton and Lotus. "The agreement lays the foundation for a wider framework for both Geely Holding, Proton and Lotus to explore joint synergies in areas such as research and development, manufacturing and market presence," Geely said in the statement. The investment comes on the back of deals worth billions of dollars signed recently between China and Malaysia. Proton is controlled by Malaysian tycoon Syed Mokhtar Al-Bukhary's DRB-Hicom. It was set up in 1983 by former Prime Minister Mahathir Mohamad to steer the nation's industrialization plan and is seen as an emblem of Malaysia's post-independence industrialization and economic growth. "Proton will always remain a national car and a source of pride, as Proton will still have a majority hold of 50.1 percent," Malaysia's Second Finance Minister Johari Abdul Ghani said at a press conference to announce the deal. "Our very own much-loved brand now has a real chance in making a comeback, a huge one I hope." The vetting process to find a foreign strategic partner for Proton started last year and involved 15 global auto players, which were eventually short-listed to three final candidates, Johari said. 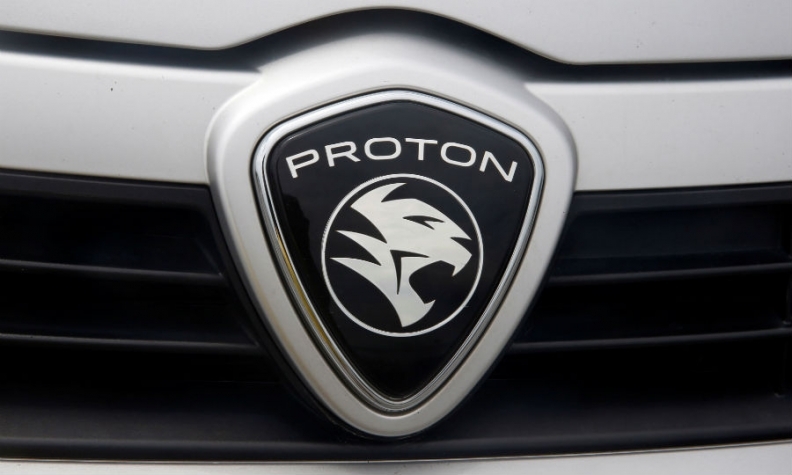 Peugeot maker PSA Group, French rival Renault and Japan's Suzuki Motor expressed interest in buying Proton. Lotus Cars could complete Chinese billionaire and Geely owner Li Shufu's ambition to create a portfolio of international brands at different price points. For Geely, Lotus would be a prestigious addition, "like Volkswagen has Porsche and Toyota has its Lexus," according to Tian Yongqiu, an independent auto consultant who tracks Chinese carmaker acquisitions. Under Proton, the British marque lacked the scale or investment needed to make it into a global sports brand, something that could change as part of a broader Volvo-Geely group. "Geely has almost finished the puzzle for the global market: It has presence in Europe through Volvo, which can also go to the U.S. It must fill in the blank by breaking into Southeast Asia, which is dominated by Japanese small cars," Tian said. "It's hard for Geely to break into this market on its own. But with Proton's factory and massive network, it can be a short cut." Geely Chief Financial Officer Daniel Donghui Li said in the statement that Geely aims to "unleash the full potential of Lotus Cars. " Geely will bring Lotus into a new phase of development by expanding and accelerating the rolling out of new products and technologies, he said. Lotus Cars is known for its lightweight chassis technology and could help Geely in meeting stringent fuel-economy rules set to kick in over the next few years. While Geely will own a majority stake in Lotus, Etika Automotive will hold 49 percent of the British carmaker, DRB-Hicom Managing Director Syed Faisal Albar said. DRB-Hicom is selling Lotus for 100 million pounds ($130 million) with each paying proportionately, he said. Etika Automotive is controlled by DRB-Hicom's Syed Mokhtar. Proton re-badges cars from foreign manufacturers to sell in the local market, but its quality has declined in recent years. It has two factories in Malaysia -- one in Shah Alam and the other in Tanjung Malim -- with a combined capacity to build 350,000 vehicles a year. DRB-Hicom said in a February statement that a new partner would help improve the utilization rate at the Tanjung Malim plant. An earlier attempt in 2007 to woo new partners for Proton foundered on the Malaysian government's refusal to allow foreign bidders to acquire control. Geely is expected to offer Proton some of the latest vehicle technologies it has developed with Volvo's input. Its investment would help Proton grow its sales overseas and recover some of the global presence it has lost in recent years, people familiar with the bidding process told Reuters in February. Geely hopes to lift Proton's sales in right-hand-drive markets including Malaysia, the UK, India and Australia, they said. Geely said the deal is subject to regulatory approval and the signing of a definitive agreement. It gave no value for the deal, which both parties expect to sign in July. DRB-Hicom is still negotiating on the transaction price, after reaching agreement on a ballpark figure, Syed Faisal said at the press conference. When DRB-Hicom privatized Proton in 2012 after buying a 43 percent stake from state-owned investment firm Khazanah Nasional, the deal valued Proton at 2.8 billion ringgit ($645 million). With sales flagging, Malaysia's government stepped in April 2016 to make a 1.5 billion ringgit loan to Proton, which allowed it to avoid defaulting on obligations to suppliers. The agreement came with a rider that Proton find a major new investor to put it on a more sustainable financial footing. Chinese automakers increasingly see Southeast Asia as a growth market as their technological know-how and vehicle quality improves. Shanghai-based SAIC Motor moved to build a plant in Indonesia in 2015 and formed a joint venture in Thailand three years earlier, while Dongfeng Motor is also interested in the region. "Japanese automakers already dominate Southeast Asia's auto market and they make the region a tough place to do business for newcomers. This deal gives Geely an already-established distribution network," said Yale Zhang, head of Shanghai-based consulting firm Automotive Foresight. "Geely can inject into that Proton network better technologies and better-quality cars they have developed with Volvo’s help. It’s clear-cut in that sense."